Extend Okta’s Adaptive MFA to your Fortinet VPN for strong authentication. 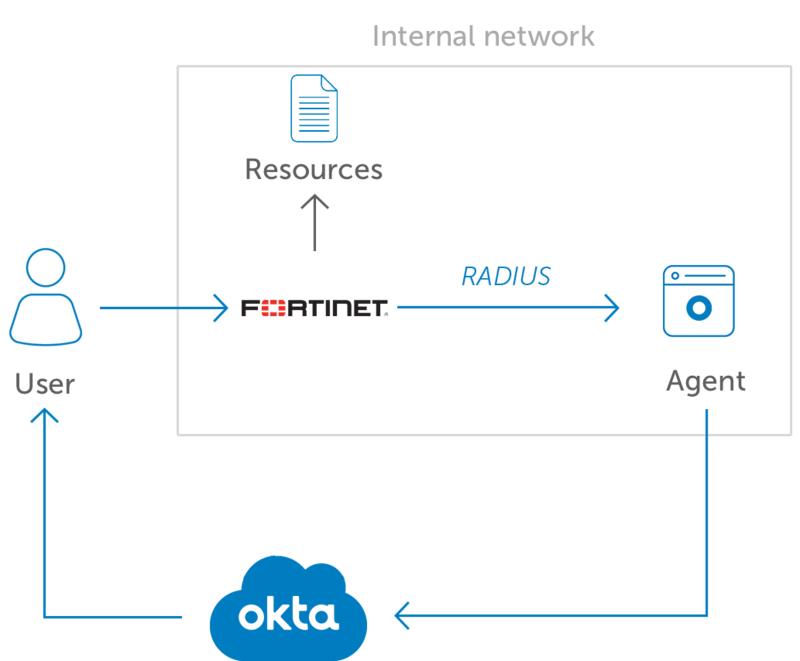 Okta Adaptive MFA integrates with Fortinet FortiGate VPN through the Okta RADIUS Server Agent and in conjunction with the Okta Integration Network (OIN) Fortinet VPN Radius App. Okta MFA for Fortinet VPN supports integration through RADIUS.